Community and Civic Engagement: The foundation believes that people have an inherent capacity to solve their own problems and that social transformation is within reach for all communities. The foundation partners with those committed to increasing public and community participation in improving the lives of vulnerable children, families and communities. The foundation amplifies voices by supporting dialogue, leadership development and new models of organizing. It seeks to accelerate philanthropy that grows giving and promotes community-led innovation. And, WKKF is committed to help build a stronger, more effective and responsive nonprofit sector. Community Leadership Network Fellowship: The fellowship targets individuals who can be transformative social change agents in their communities so that vulnerable children and their families can achieve optimal health and well-being, academic achievement and financial security. Embedded in this effort are the foundations two approaches to all its work: community and civic engagement and racial equity and healing. Selected fellow will spend three years honing leadership skills and sharing their experiences with a cohort of developing leaders. A total of 100 fellows will be equitably selected from the foundations U.S. priority places Michigan, Mississippi, New Mexico and New Orleans and will do their work from there. Education and Learning: All children need the support of parents, caretakers and the community to ensure their optimal development for success in school, work and life. WKKF partners with organizations focused on early childhood education to ensure that children arrive prepared and ready to learn in kindergarten and to achieve early success by the third grade. This work is accomplished through parental and family engagement; effective teaching; comprehensive bundled services where programs, practices, policies, partners, networks and systems are aligned to ensure effectiveness; and efforts to achieve racial equity in education and learning. Employee Matching Gifts: The foundation matches gifts of all full-time employees, officers, trustees, and retired employees to eligible organizations having status as a public institution under Section 501(c)(3) and 509(a) of the Internal Revenue Code and foreign charitable organizations determined equivalent to a U.S. Section 501(c)(3) and 509(a) organization. This includes schools, government units, hospital or medical research facilities, religious organizations, and public-supported charities. Only direct gifts of cash or marketable securities to the charity by an eligible donor will be matched. The minimum gift is $25 and the maximum is $100,000 per eligible donor per calendar year. The maximum total corporate payout per employee, per year is $200,000. Gifts are matched on a two-to-one ratio. Contributions by the foundation may not be used to provide personal benefits to, or to discharge a pledge or other legal obligation of, the donor. Similarly, contributions by a donor that provide personal benefits to the donor or other person such as payments of tuition, membership dues, subscriptions, and other similar fees, are not eligible for matching grants by the foundation. Family Economic Security: The foundation works to ensure that all families have opportunities to achieve economic security and provide stable environments for their children's optimal development. The foundation supports organizations and programs that: increase families' capability to accumulate and more effectively manage financial resources; align and strengthen industry employer training partnerships to create more quality jobs; and strengthen and integrate whole child and family support systems. The foundation recognizes that a family's primary needs must be addressed to create pathways out of poverty for children and support efforts that reduce inequities based on class, gender and race. Food, Health and Well-Being: All children deserve good food, stimulation, nurturing and safe living environments and access to quality health care. The foundation helps children get a healthy start by supporting partners that: work to support mothers' and families' health throughout their lives; improve access to perinatal care systems and increase breastfeeding rates; and transform food systems so children and families gain more access to healthy foods in child care settings, schools and in their communities. Through grantmaking, policy and advocacy efforts, the foundation's focus is on the interrelated social determinants of health, especially for those disadvantaged by multiple societal factors, a disproportionate percentage of whom are children of color. Grants to Individuals Program: Fellowships to merging and established leaders for leadership development with a focus on improving conditions for vulnerable children. International: The foundation remains focused on supporting organizations and programs in Latin America, the Caribbean, northeastern Brazil and southern Africa that work to boost education and nutrition; reduce domestic violence and child abuse; increase community engagement and action; and build meaningful partnerships to propel vulnerable children and their families to success. Priority Places: As a general guideline, the foundation allocates more than 90 percent of its funding each year to the United States. The foundation targets just over half of their budgeted domestic dollars to the following priority places: Michigan, Mississippi, New Mexico and New Orleans. The remaining domestic funds are spread across the U.S. in urban, suburban and rural communities. Program-Related Investment: PRIs are typically below market rate investments to organizations that align with the foundations mission to improve the lives of vulnerable children and their families. The Kellogg Foundation defines PRIs separately from its mission-driven investment (MDI) program. 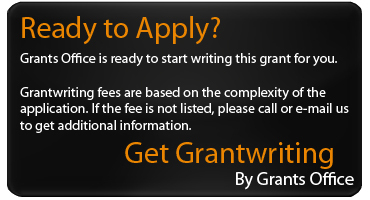 A searchable database of previously awarded grants is available at: http://www.wkkf.org/grants. To begin the online application process, please visit: http://wrm.wkkf.org/uWebRequestManager/UI/Application.aspx?tid=70d03543-2f25-44ff-bbc0-024f3fb5aa09&LanguageID=0. Non-profit organizations in the United States are eligible to apply. Within the United States, some emphasis on projects within Michigan, Mississippi, New Mexico and New Orleans. Internationally, they also include micro-regions in Haiti and Mexico. Award amounts vary according to proposals. Grants can range from less than $100,000 to more than $5,000,000, depending on the project. Some grants are funded over multi-year periods.